You might think that choosing your cellphone is much more important than choosing your cell phone provider, but if you get stuck with the wrong provider, it’s really like being stuck in a bad marriage for 24 long months. Fortunately, with UnlockBase there is a an easy and painless way to get a quickie divorce from your service provider, because UnlockBase has the largest database of mobile phones and service provider around the globe, and is able to unlock your cellphone within seconds. 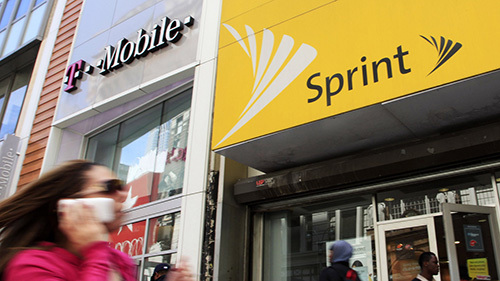 That’s always good to know, but it doesn’t alter the fact that you should give serious consideration to which cellphone provider before you sign on the dotted line. Well first of all, the provider provides the all-important network coverage you will receive throughout the length of your contract, and coverage is not created equal. You can have poor and patchy coverage from one service provider in one particular area, and excellent coverage from another. Before you make up your mind, ask the provider to check your area to see how well they cover your part of the world. Make sure you get the best coverage you can in the areas where you will need it. Another important point to consider is whether you travel frequently. Before you sign up for that shiny new phone with the big megapixels, find out if it offers GSM when traveling abroad. CDMA, while common in the States, is not nearly as prevalent outside of American borders. You don’t want to arrive in a foreign country only to find your phone can’t find a signal and is effectively dead for the whole trip. The data network and data package didn’t use to matter so much when apps and video games weren’t as all powerful as they are today. But in this age of intense online surfing on your smartphone, data packages and the speed at which they are delivered are all important and must be examined carefully. You need a data package generous enough to enable all the things you want to do on a daily basis including use of the internet, sending of e-mails, streaming music and videos, and of course, downloading apps and video games. If you are not able to access free WiFi while you surf you’ll be amazed how fast your phone gobbles up data. As for the network, the fastest 4G LTE data network has become like a God given right. If you want LTE, which of course you most probably do, get to know where the carrier has the best 4G coverage and how fast it is. And just like with calls, make sure you’ve tried a carrier’s data network before committing. Service providers tend to push you towards the phone they want you to have, and quite often this is a model which they want to offload before the new version comes in. That means you are stuck with last year’s technology for maybe two whole years. So it really pays to do your homework and read a whole bunch of online reviews about a wide variety of phones before settling on the one that’s best for you. 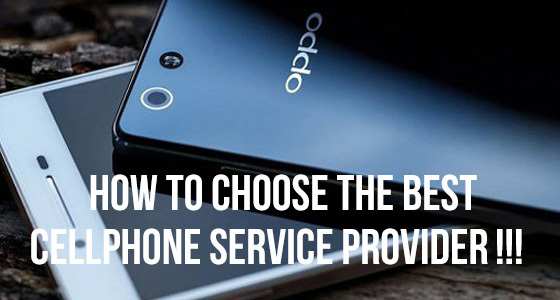 If the service provider doesn’t have the phone model you want, take time to check what they are offering before signing up. Different service providers offer different models and even the same models can be at different monthly rates, so check and double check your phones so that you don’t get swayed or misinformed by the sales talk. If all goes well and you have done your homework properly, you won’t need to be talking or dealing with customer service too often, but if you find you are dealing with them, and you are not satisfied, the chances are it’s because you haven’t ironed out all the important details we have mentioned above. Over 90% of calls or interaction with the customer service departments of network service providers stems from either the phone, the coverage, the data package, or the bills. If you have found out all you need to know before you sign up, you can quite possibly get by with only minimal need for customer service. But like we say, if you find you’re not happy, and you’re stuck with poor service and a lousy package, don’t worry, there’s always UnlockBase!